A new dance emerges today in India, beyond traditional forms. 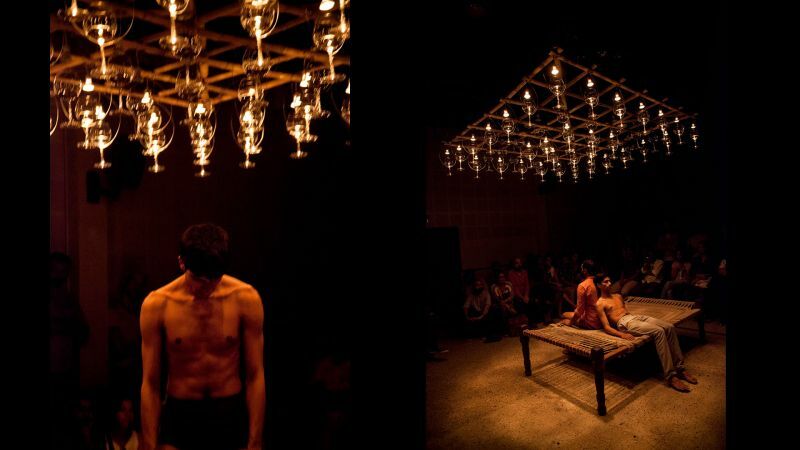 Key-figure of this contemporary and performative scene, Mandeep Raikhy means to change not only dance, but also Indian society. Choreographer and Gati Dance Forum director, he will present his third major piece, a duo staging the love relationship between two men. Sober and without drama, “Queen-size” reminds that love is about intimacy, when Indian law prohibit homosexual relationships. On a bed, under a canopy of glasses of water, the life of the couple unfolds ad infinitum amongst the public who can go in and out as it pleases. A piece as an invitation to share a moment of life and reassess our opinions about love.